Have you ever had cell phone signal issues? Living in Montana, I am sure you have? Many consumers living in more rural areas are certain to have cell signal issues at their homes and many of you are familiar with loosing signal consistently while traveling from town to town in Montana. I know when I had car problems a few years ago, I had to walk down the side of the highway and find a spot where I received signal and then make sure not to move while on the call otherwise I lost my signal and my call. In today’s world, the ability to stay in touch is more and more important. Here the good news, there is now product out there that improves your cell phone signal at home and while traveling, and it really works. 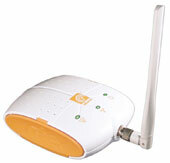 Here at P.E.T.E.S., we have been a zBoost cell phone signal booster dealer for a couple years. We have installed quite a few systems since we became a dealer and recently we have been getting a ton of calls on cell phone boosters. These boosters work with smart phones, cell phones, and even aircards. Many consumers in rural areas pay quite a bit of money for a landline telephone with long distance and internet service because they do not have many options where they live. Even in larger cities like Missoula, often times cell reception in a basement can be a problem. With zBoost, you may be able to improve your signal to be able to rely on your cell phone as your primary phone and eliminate extra costs and in addition zBoost is very affordable and we can install the product for you. Stop being frustrated with your cell phone signal and give us a call today for a free consultation. I had never heard of this until now. Extremely useful idea. Please let me know how much one of these would run. Thanks.